LOS ANGELES, CALIFORNIA -With the weather cooling and the last Thanksgiving dishes being cleaned and stored we know what is next. 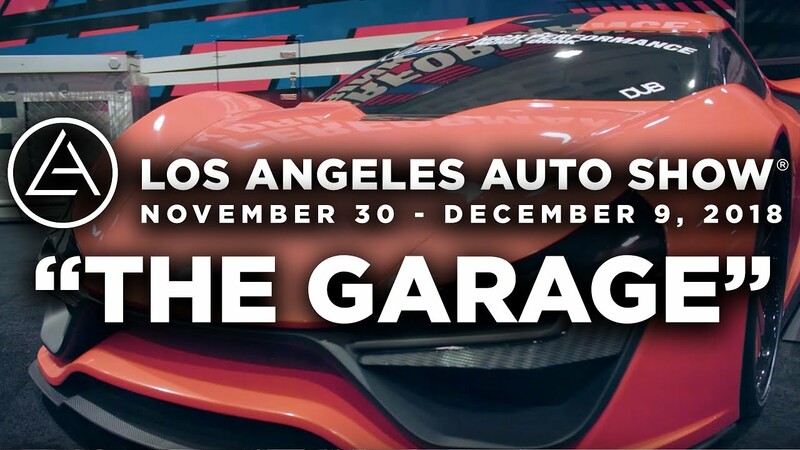 Only the biggest car show in North America, The LA Auto Show. The LA Auto Show has come a long way from its humble beginnings in 1907. The LA auto show is now an experience. While there are thousands of square feet of cars which you can view, sit in, and drool over, you can also test drive cars, play interactive games, preview concept cars, meet aftermarket manufactures and so much more. One stop of our list is “The Garage” it is located below the South Hall. The easiest way to know you are headed in the right direction is the large banner. If you are a fan of car culture this is the place to satisfy or inspire your dreams. The exhibits show you what you can do after your ride comes off the production line to give it a unique and personalized look. Did you have your heart set on seeing a dreamy exotic sports car or two? Those are also here in “The Garage”. While the not on the same floor as the bigger exhibit halls this area is worth a view. Along with your ticket purchase comes the ability to do free test drives for licensed drivers. We love this part of the show. Where else can you test drive cars from 13 different manufacturers (subject to availability) in one location with NO salesperson? We here at Evans recommend to those in the market for a car to take advantage of these free test drives. Looking to do a little “Joy Riding”? While the Slingshot company has you covered. Your free ticket also gains you access to a free ride with a professional driver along with their closed road course. This year with 60 different car debuts & concepts from 38 participating manufacturers, we have decided to high light a few vehicles in separate articles. The event will be opened to the public Nov. 30th through Dec. 9th. The LA Auto show is family friendly and a great way to walk off some of those holiday calories. We here at Evans Auto Brokerage wish a “Happy LA Auto Show”.